Every year, many people are killed or seriously injured in emergency lane accidents when another vehicle collides with the disabled vehicle, its driver or passenger. Pulling over to the side of the road when your car breaks down can be a dangerous situation when the interstate is busy with heavy traffic. Other drivers usually allow a disabled motorist to get to a safe place on the side of the highway, but with distracted and drunk drivers on the road, standing alongside your car when it’s broken down in the emergency lane can be extremely dangerous. Every year, many people are killed or are seriously injured in emergency lane accidents when another vehicle crashes into the disabled vehicle, its driver or passenger. If you are traveling down the highway and your car breaks down, you should avoid stopping in the travel lanes on interstates or highways. Instead, try to get off the road at the nearest possible exit or use the emergency lane. 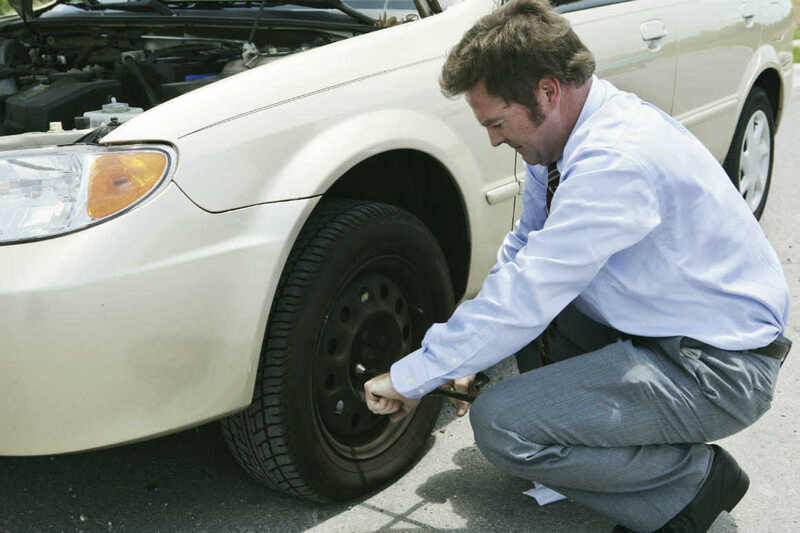 If you need to fix a flat tire, make sure you are as far away from the oncoming vehicles as possible, and do not leave your tools in the way of oncoming traffic. The emergency lane is there so that drivers have a safer place to add gas, change tires or wait for help to arrive. However, there are cases where unsuspecting drivers of disabled vehicles become victims of negligent or irresponsible drivers who do not follow safety rules. Even the pedestrians in the immediate vicinity of the stopped vehicle in the emergency lane can be at a high risk. They should stay as far from the oncoming traffic as possible. There may be several reasons why an accident may occur in an emergency lane. An oncoming driver may be drowsy or impaired due to alcohol or drug use. The oncoming driver may not be paying attention and may not see that a car is pulled off the road until it is too late. • Maintain your vehicle and check it regularly for any problems, especially before you take it for a long drive. • If your car breaks down, be sure to pull over to the side of the road as far as possible from the moving traffic. • Switch on the hazard lights and call for roadside assistance or emergency services. • If you have to get out of the vehicle try to get out from the side that is away from the oncoming traffic. • Carry flares in your trunk so that if you break down at night, you can light flares to notify oncoming traffic. • If and when possible, stay behind the guard rail. • Avoid crossing the traffic. If you were injured while waiting for road assistance in the emergency lane, you should seek legal help from a competent Missouri car accident attorney. Call us at (314) 361-4242 or fill out our online contact form, to schedule a free and private consultation. The amount of compensation you receive from an injury claim is important for your future — choose your lawyer carefully.